Lawyers for two men, who claim they were tortured after capture by UK forces, are demanding access to an uncensored version of the CIA torture report from the Ministry of Defence (MoD) team charged with investigating abuses. Solicitors Leigh Day, representing the men, has a long record of taking on similar cases, including the recent Al Sweady Inquiry into allegations of abuse by British soldiers. Their clients are two Pakistani nationals, Yunus Rahmatullah and Amanatullah Ali, both of whom were captured in Iraq in 2004 by British special forces soldiers and held for a decade before being released by the US last year. They were initially detained at the British Army run Camp Nama facility, before being handed over to the US military and transferred to the notorious Abu Ghraib prison. They were later rendered to Bagram prison in Afghanistan. Both men maintain they were tortured. The lawyers are asking the MoD’s Iraq Historical Allegations Team (IHAT), which was formed to investigate thousands of complaints about British military conduct, for access to an uncensored version of the landmark report into CIA torture released last year. The MoD and the Foreign and Commonwealth Office (FCO) have said such a disclosure would harm British defense and security relations with the US, citing an established “act of state” doctrine. This prevents the UK disclosing in court any information about the military activities of American troops. In November last year, a British High Court accepted Rahmatullah's appeal to have his case heard. The judge, Mr Justice Leggatt, said British courts would be failing in their fundamental duty to uphold the law if they didn’t deal with the claims. “For the court to refuse to decide a case involving a matter of legal right on the ground that vindicating the right would be harmful to state interests would seem to me to be an abdication of its constitutional function,” Leggatt said. The CIA torture report, published in December last year, examined the agency's use of torture post 9/11. It was the result of a six-year examination of CIA documents. However, the US Senate Select Committee on Intelligence (SSCI) only published a heavily redacted 480-page summary of its investigation into CIA mistreatment and abuse of terror suspects. 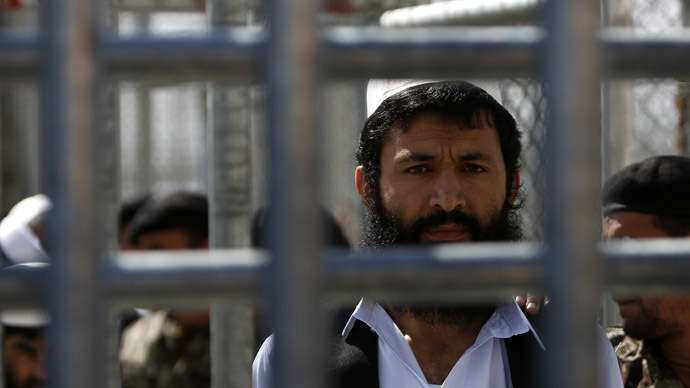 The probe examined the CIA’s maltreatment of Al-Qaeda suspects in secret prisons throughout the Middle East, Europe and Asia, and detailed assistance offered by foreign allied states.